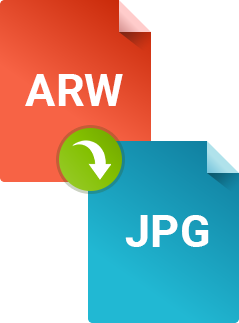 Need to convert ARW to JPG? If you have a Sony camera, you may encounter problems opening and working with the ARW files your camera produces. These files retain unprocessed information from the highly sensitive camera matrix, which saves as much visual information as possible. This is important for ensuring high quality, but it makes the files pretty large. Additionally, many image-viewing and -editing programs don’t support these files. 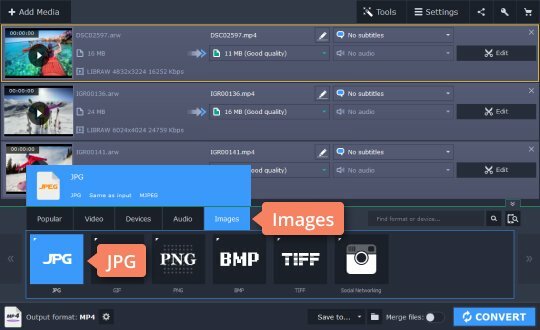 If you want to view, store, and share your ARW pictures easily, the best way to dodge all the difficulties is to convert the files to a more common format, like JPEG (JPG), preferably without losing quality. 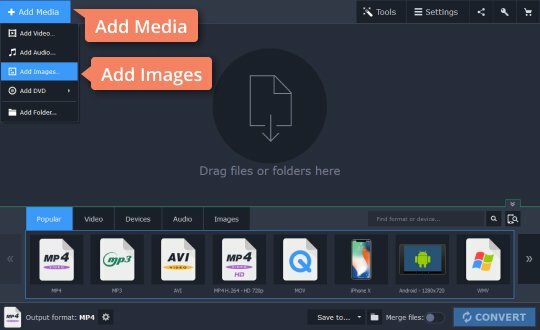 An easy way to do this is to use Movavi Video Converter. In spite of the name, the program works not just with video but also audio and image formats. This powerful software can convert ARW to JPG while keeping a high image quality. And thanks to batch conversion, you can process multiple photos at once, so you don’t have to spend hours on it. 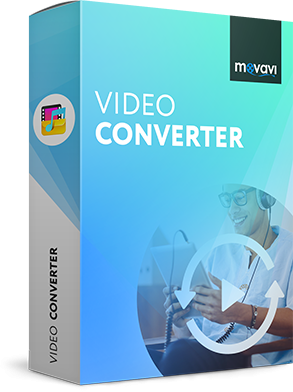 Movavi Video Converter is available for Windows 10/8/7/Vista/XP and macOS 10.7 or higher. Download the program now and follow this easy step-by-step tutorial to learn how to change the format of your photos from ARW to JPG. Download the converter from our website. Open the downloaded file and follow the instructions to install the app correctly. Click the Add Media button, then Add Images, and choose the photos you want to convert. You can easily add multiple pictures at the same time for batch conversion. To convert ARW to JPG, open the Images tab, choose JPG from the format list, and click the only available preset for JPG. 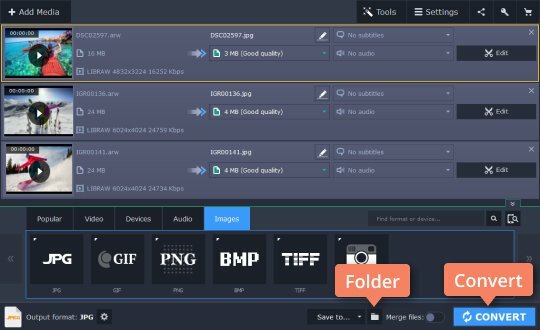 If you want to save your files in another format, like PNG, BMP, or GIF, choose that target format from the list. Click the Folder icon and specify the export folder, then click Convert to change the format for your images. Once the conversion is complete, the output folder will open automatically.